Make it plank. Get in shape with Yoga. Yoga is all about creating balance in your body through developing strength and flexibility. I’m sure, many of you are very fond of yoga. You probably visited various yoga classes, watched tons of yoga videos on Youtube, read countless articles and books about meditation and exercises. 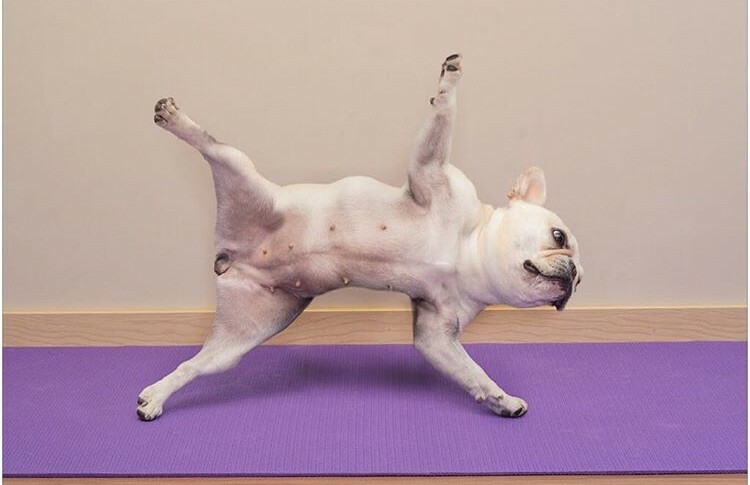 But I bet, you have never seen a dog teaching yoga classes. Well, you just did! Now you can take that off your bucket list. The amazing thing about yoga is that your practice is always evolving and changing, so it never gets boring. 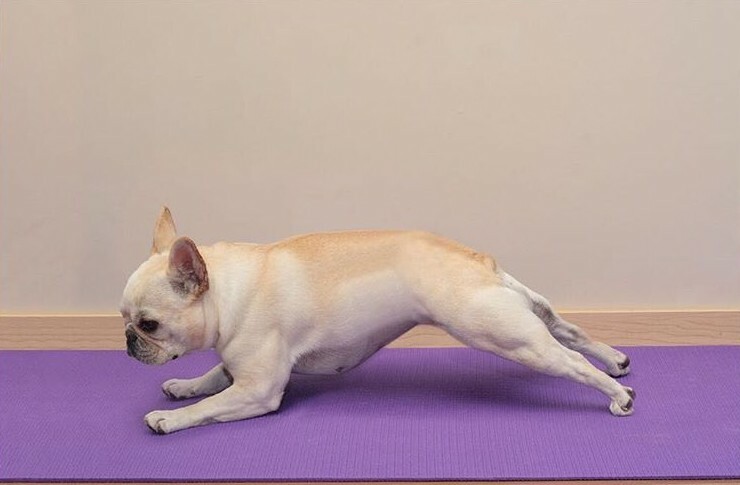 Especially, if your yoga instructor is a dog. Bitty is a french bulldog who lives in Portland, Oregon. 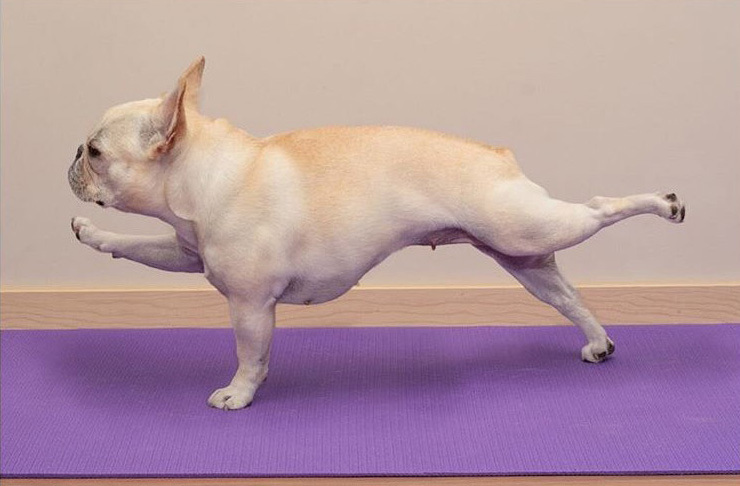 Bitty will share her 5 minutes daily yoga routine that will help you stay in shape during the upcoming holiday season. Join me for my Sunday 5-minutes yoga routine brought to you by the pretty Bitty. 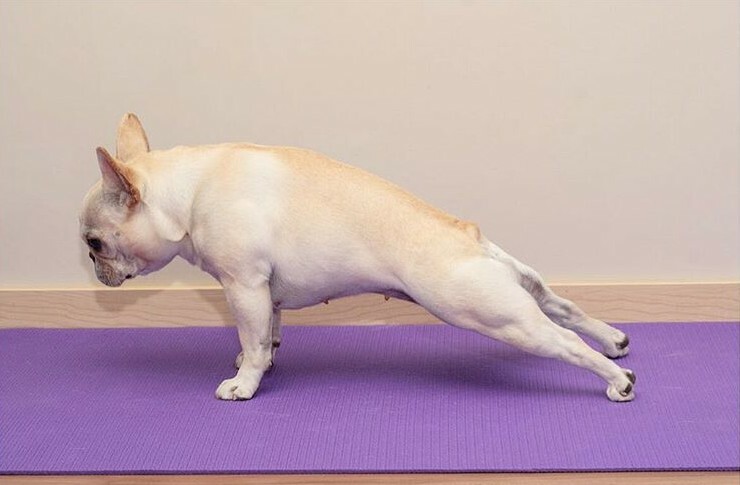 Today, we will start our 5 minutes of yoga with a regular plank. Assume a push-up position and hold for 1 minute. Our next move is the forearm plank. Make it plank for 1 minute. Balance on your left hand and your left foot with the body in one straight line. Raise the right arm and leg in the air. Hold for 30 seconds. Repeat on your right side. For a 2 point plank, raise your right hand and left leg out to form a straight line with your body. Hold for a 5 seconds. Switch arm and leg. Repeat for 1 minute. Horizontal utthita hasta or the leg and arm high five. Hold for 30 seconds. Roll over on your right side. And do it again. The hard part is over. Time to relax. 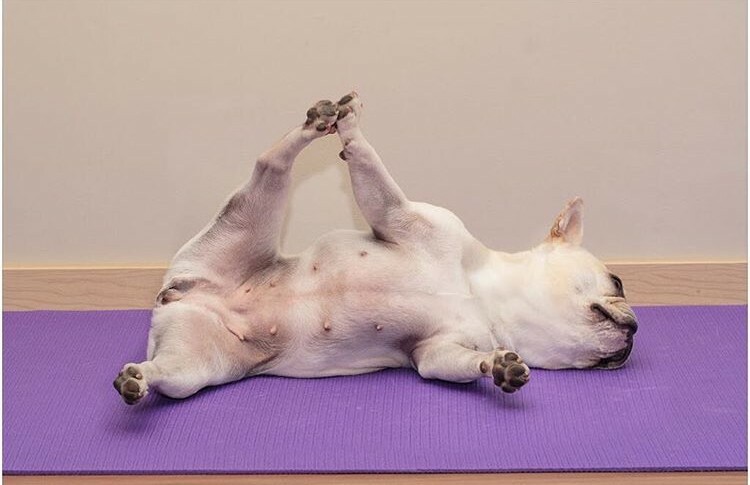 Shavasana allows your body to regroup and reset itself. You can stay in this pose as long as you like. That’s it for today, folks. 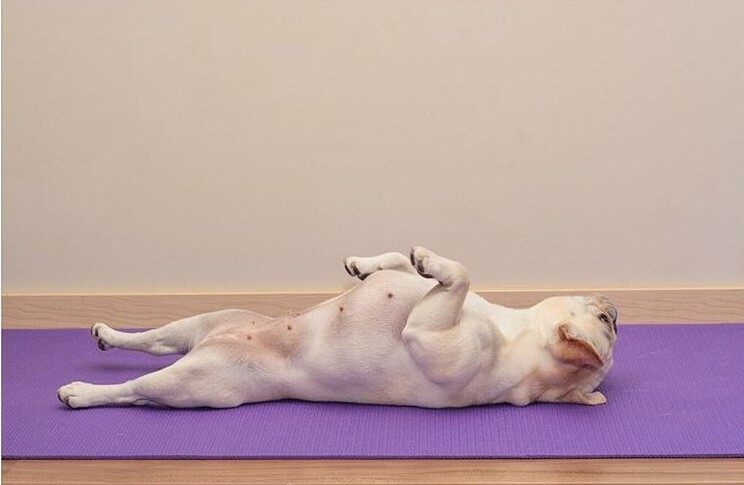 To book a private session with Bitty, head over to her Instagram yoga account. Namaste!